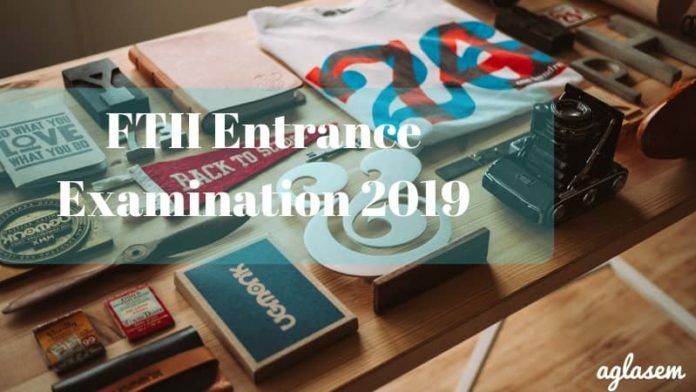 FTII Entrance Examination 2019: The Film And Television Institute Of India is to declare the result for FTII Entrance Examination 2019 at fttindia.com. Those candidates who took the test must check their result tentatively in the third week of May 2019. The FTII Entrance Examination 2019 is for candidates willing to take admission to the courses offered here that are specialization in direction & screenplay writing, editing, acting etc in PG diploma and certificate courses in films and electronic cinematography, direction, video editing, etc in PG Certificate course in television. The detailed information regarding FTII 2019 is provided in the article further. Latest: The result for FTII Entrance Examination 2019 will be declared in the third week of May 2019. The Candidates applying for FTII JET 2019 must go through the eligibility criteria required by the institution. The dates regarding Application form and other event dates have been announced and given in the table below. The film and television institute of India declares the result for FTII. It is expected that the results will be declared on April 22, 2019, at ftiindia.com for candidates who took the test. Further, the result will be declared once after the exam and the selected students will be called for the interview and orientation. 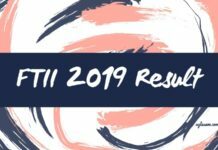 The final result for FTII 2019 will be declared as per the performance of candidates. To check the result candidates must visit the website and click on the link provided to check the result. Selection criteria for all the above courses except Acting: Candidates will need to clear JET. They need to appear for orientation and interview. Selection criteria for PG Diploma course in Acting: Candiadtes will have to appear for JET and qualify the examination. Next, qualifying candidates will be called for an audition. The result 1 will be published as per marks obtained by candidates in both JET and the audition round. The shortlisted candidates will then be called for orientation and interview round. The final result that is result 2 will then be declared. The candidates applying for FTII entrance examination must check the eligibility criteria required by the institution for admission to any of its courses. The eligibility required is given below. Sound Recording & Television Engineering: Bachelor’s Degree with Physics as a subject at Senior Secondary (10+2) level. Candidates willing to take Admission to any of the courses provided by FTII must have to take JET 2019. 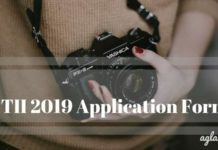 The application form for FTII JET 2019 has been available in online mode. The very first process to apply is to registration, through the link provided in the application form page. Registration helps a candidate login whenever they want to in order to complete the application process, and also at the time of admit card download and result. To complete the application form candidate is required to fill in the form online upload photograph and signature and pay the application fee. In this section, candidates will have to solve any five questions out of the eight questions provided. The centre for FTII JET(joint entrance test), has been distributed in 26 cities in India for candidates to choose wisely as per their choice. The list of test cities is given below. 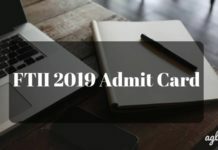 For more details of FTII Admission 2019 – Download Information Brochure.